Sorry, this Aura birthstone charm for March is now sold out. 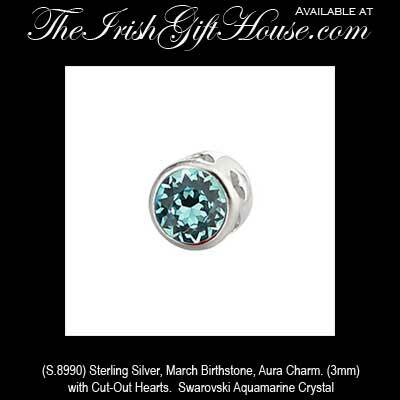 Aura Collection - Sterling Silver, March Birthstone, Aura Charm. Small 3mm charm, with Cut-Out Hearts and Swarovski Aquamarine Crystal, Gift Pouch.